Jan. 23, 2019, 9:26 a.m.
By Laura Hazard Owen @laurahazardowen Jan. 23, 2019, 9:26 a.m.
How many fans does it take to keep a regional print magazine afloat? In December, subscribers to Arkansas Life received a printed letter along with their January issue. 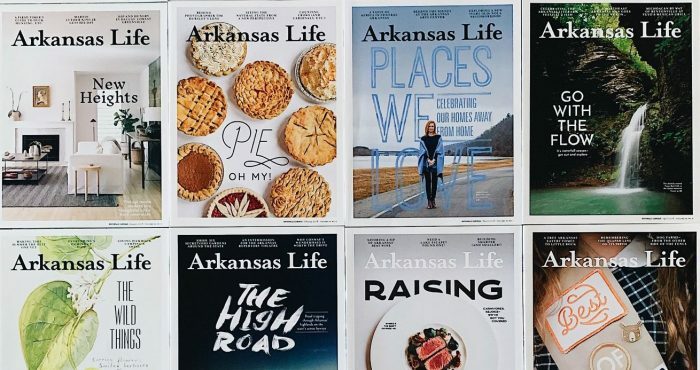 “Arkansas Life will soon cease publication unless a substantial number of readers become paid subscribers,” the letter from Walter E. Hussman Jr., publisher of the Arkansas Democrat-Gazette and Arkansas Life, read. The magazine had been free for most readers since 2008, but now, Hussman wrote, its advertising-based business model was unsustainable. “In an effort to continue publication, we’re now asking appreciative readers to become paid subscribers at a rate of $20 a year,” the letter went on. “If most and enough of our readers respond to this appeal, the magazine will continue. If not, it will soon be gone like so many other printed publications in recent years.” The bottom of the paper contained a form that readers were supposed to clip off, write in their credit card information, and send back in the mail. We cannot shy away from the fact that Arkansas Life has had a great part in keeping us around for this long. They have boosted our traffic during the cold, most dreaded months of winter, and boosted our morale during the same. The effect is worth pausing to think about as you consider the impact they have made on our small business and we are just one of the hundreds (probably thousands) of Arkansans that they have impacted in the exact same way. If you’ve never received a copy of the magazine, It’s filled with gorgeous photography and award winning writing that honestly, I was surprised to find in Arkansas. They have so many great features on people, places to go and things to do and see that help us remember that Arkansas truly is a special place. We as a small business, and we as Arkansans are lucky to have them. This is getting long and sappy and trust me, I could go on. I’m saying all this because our friends at Arkansas Life have recently received the news that if the magazine does not dramatically increase its paid subscriptions, it will cease to exist. Readership is certainly not the problem but here we are in 2019 and while it may be easier to read a free digital copy or an article that your friend shares, a quality, printed publication showcasing your state is VITAL. And a paid subscription is what will keep them alive. Arkansas Life’s roots were as a free ad-supported publication for high-income households; the Arkansas Democrat-Gazette, the state’s largest newspaper, began publishing it in 2008. “The concept was that this would be a high-quality lifestyle magazine, reaching an affluent readership,” Democrat-Gazette president Lynn Hamilton told me. It has been sent free to about 20,000 high-income households, and by late 2018 it also had about 3,500 subscribers paying $10 a year. If you’ve been following newspapers’ transition to digital long enough, the name “Walter E. Hussman Jr.” evokes memories of paywall battles past. Back in the web’s earlier days, nearly all American newspapers published their news for free online. Hussman, a third-generation publisher, was an early contrarian, putting up a paywall at the Democrat-Gazette’s website all the way back in 2002 and happily telling everyone else in the industry it was the future. Ultimately, when the two-week campaign wrapped up last week, Arkansas Life had pulled in…1,033 new subscribers at $20 a year. That’s only about five percent of the number of people who were getting the magazine free. Nevertheless, that small number was deemed enough to keep the publication from shutting down. Arkansas Life is shifting to quarterly print publication, with a monthly digital issue. It hasn’t yet been decided how the magazine will be distributed for free beyond February, Hamilton said. We’ll have more details to share in the weeks to come. But until then, please know that your support has meant the world to us. POSTED Jan. 23, 2019, 9:26 a.m.
Owen, Laura Hazard. "How many paying subscribers do you need to keep a money-losing magazine afloat? Arkansas Life finds out." Nieman Journalism Lab. Nieman Foundation for Journalism at Harvard, 23 Jan. 2019. Web. 18 Apr. 2019. Owen, Laura Hazard. "How many paying subscribers do you need to keep a money-losing magazine afloat? Arkansas Life finds out." Nieman Journalism Lab. Last modified January 23, 2019. Accessed April 18, 2019. https://www.niemanlab.org/2019/01/how-many-paying-subscribers-do-you-need-to-keep-a-money-losing-magazine-afloat-arkansas-life-finds-out/.